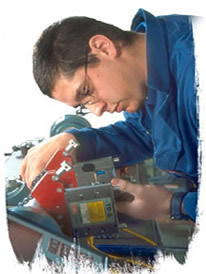 Our employees had over 100 years of experience with Industrial & Automotive tools and equipment. We sold and serviced air tools, hoists, winches, air motors, DC electric tools, high pressure hydraulics and automotive equipment. We serviced 90% of the lines we sold. With no family member wishing to take over the business, we sold the assets and closed the business. Working for over 50 years with Customers, Suppliers and Employees was wonderful. I enjoyed almost every day.